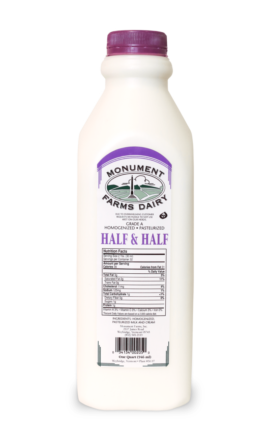 Home | Monument Farms Vermont Dairy | How Fresh is Your Milk? Now, more than ever, people are concerned about what they put in their bodies, and it starts with fresh. How long did it sit in a processing center? On a truck? At your local store? Our processing and distribution plant is a quarter mile from our farm. We can pick up our milk, package it, and get it out to you faster. Just one way our Monument Fresh Vermont dairy achieves its famous taste. 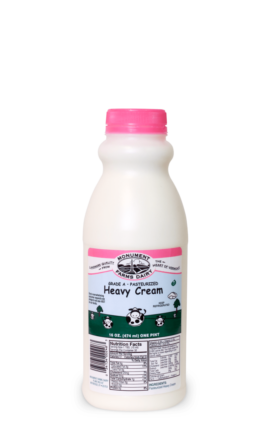 Cook with the heavy cream used by chocolatiers at Lake Champlain Chocolates, chefs at Fire & Ice and Leunig’s Bistro, and even bakers at Mirabelles and Klingers. Enjoy the chocolate milk Vermont college athletes and national champions swear by as a post-workout drink. 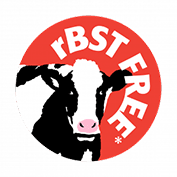 And trust in a product so fresh, even our raw milk boasts a natural bacteria count lower than what other brands achieve after processing. 4th Generation. Family-Owned. Local. Fresh. That’s Monument Fresh Vermont Dairy. We fully manage your inventory, check levels, and keep you stocked. We’ll even stock your entire dairy case with eggs, OJ, and Cabot brand products. We’re proud to own our own trucks for faster more reliable distribution. *Order minimums apply for full-service distribution. Ask your Monument Representative for more information. When we switched over to Monument Farms, our sales tripled. I'm blown away by the milk we go through. We can't keep Monument Farms on the shelves. There's a lot of different chocolate milks out there, a lot of milks out there. I wanted to make sure we used Monument Farms. It has less ingredients, and it tastes better. We have tried other creams before, and when there was a difference in taste, we knew that Monument Farms...tasted better. It's super clean, really nice, and I think that translates over so well to what we're doing...it makes our job easier in a lot of ways. 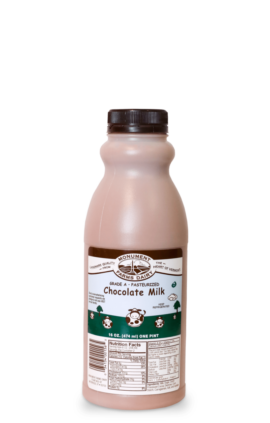 You have never experienced chocolate milk until you've tasted Monument Farms chocolate milk. We use the cream and whole milk. It's fresh. Good ingredients are definitely what make our products delicious. We had no plan to keep our Monument Milk Machine for this long, but the reception was so positive, we had no other choice. Our Monument Milk Machine is one of the most memorable things for people who visit us. In Vermont, local is number one. 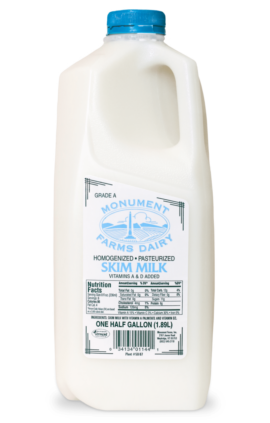 Monument Farms supplies all of our dairy products. We want to make a good product and we want to do it with good ingredients. - Donnell Collins / Executive Chef and Co-Owner, Leunig’s Bistro. Using Monument Farms Vermont Heavy Cream, Mike Cooley, chef at Fire & Ice Restaurant in Middlebury, shares his delectable Champagne Chicken recipe. Taste it at the Fire & Ice Restaurant or make it at home!